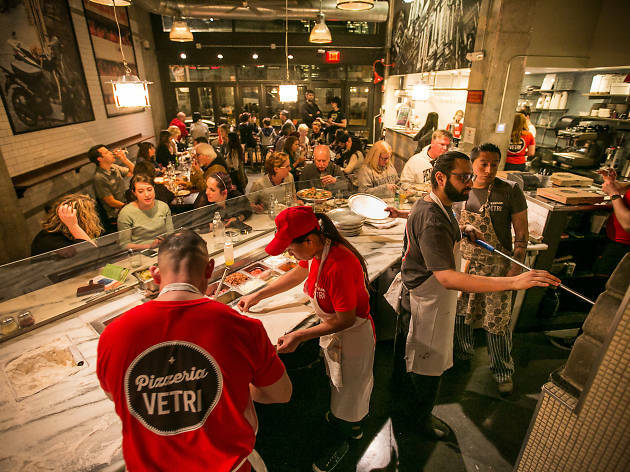 A gold standard among Philly pizzas (with prices to match), Vetri pies are seemingly simple but marvelously complex in taste. 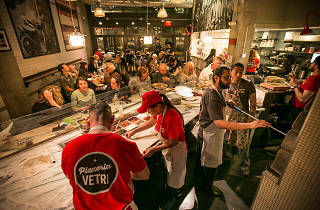 The pies are made with carefully sourced ingredients and prepared with an exact science in mind: They bake in a 650-degree, wood-fired oven for precisely three minutes. The margherita pizza is a good starting point, followed up by the Sicilian-tuna Tonno for a more adventurous flavor. For dessert, stick around for the Nutella pizza, baked with oozing marshmallow.